One of the main things we all do when the new year kicks in is set resolutions and goals for ourselves. Many of us are able to stick to a few of them, while others of us-- not so much. And because of the latter, I'm not big on making new year's resolutions in the traditional sense. I realized with failed attempt after failed attempt to achieve my annual resolutions that perhaps I was going about the whole process wrong. I wanted to set goals for myself, but I was growing tired of setting myself up for failure each time. And that's when it hit me: If I broke each of my goals down into small measurable tasks that could be completed monthly, weekly, or even daily, I could finally start achieving some goals and be on my way to my dream life sooner than imagined! Taking part in Happy Black Woman's 31 Days to Reset Your Life Program in the past and just recently in KimberlyLuxe's Life Reset have aided me in doing just that-- setting goals and crossing off accomplishments at a comfortable pace. And with the help of these two programs I was able to embark on a new journey of self-improvement with a renewed sense of confidence. 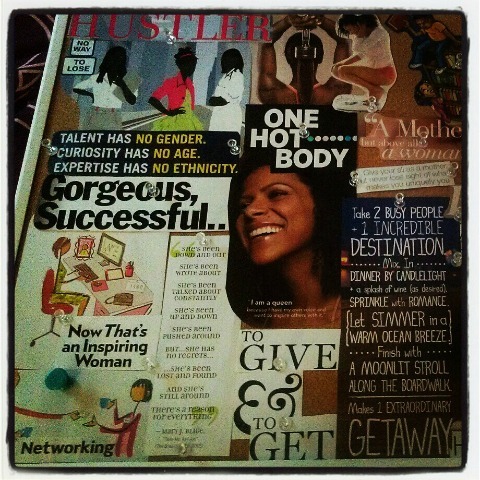 During the 31 Day Reset over at Happy Black Woman in 2011, Rosetta prompted us to create vision boards. This board would be instrumental in helping us focus on our goals through visualization. By being able to "see" our goals daily, in the form of images and words displayed on our boards, we would have no other choice but to remain focused on them! We were also using the law of attraction, attracting those things we focus on in the board, to ourselves. 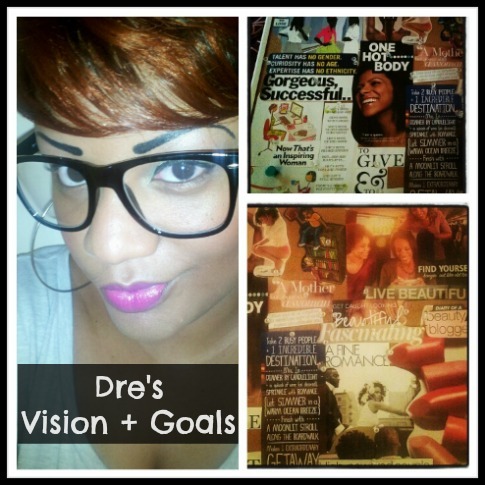 In essence, creating a vision board was like making a road-map to my dreams. 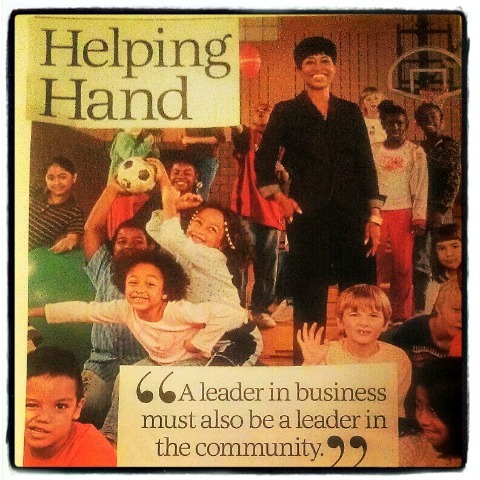 All I had to do to get started on the journey was to lay the groundwork by creating the board. Little did I know that it would be so helpful! With proper planning, focus, and prayer I saw many of the things on my board manifest my life. And because creating my first vision board had proven so successful, I decided to make one each year or after each life-change. After I took note of my goals, I searched through several magazines looking for images and words that aligned with those goals. 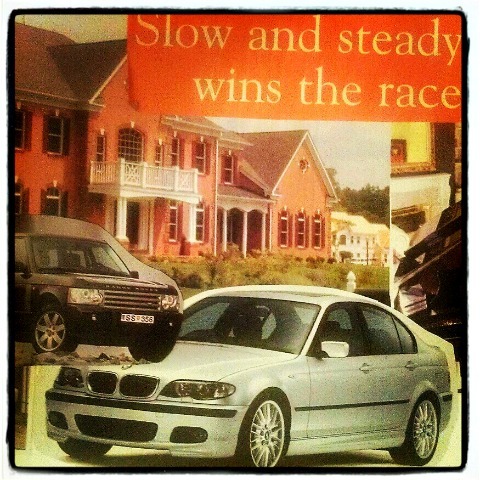 This was, perhaps, the most time-consuming part of creating the vision board. When I felt I had more than enough images, I started placing them on my boards and books with pins and glue. The most exciting aspect of creating my vision board this year was knowing I will have accountability partners. 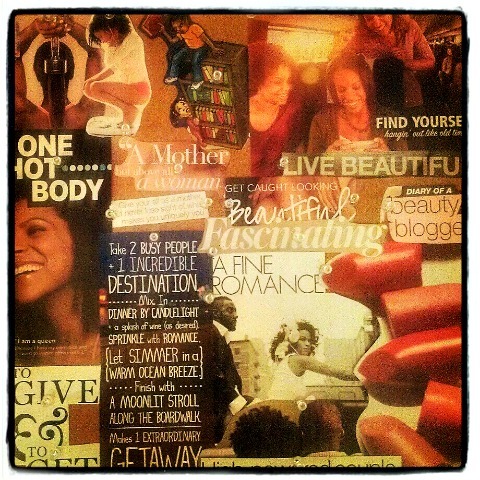 Last month, I (along with several other women) signed up for the 2013 Vision Board Challenge hosted by the Regal Realness website. In joining, not only did we create vision boards, we will also be completing monthly tasks for the rest of the year to keep us focused on our vision. Isn't that cool? I've also planned to help a few of my family members and friends create boards so that we can cheer each other along in our efforts. Have any of you created a vision board for the year?